Located below, you will find two downloadable sample course cartridges for an online faculty development course. These sample courses are based on UCF’s IDL6543 Professional Development course used to certify faculty to teach blended or completely online courses at the University of Central Florida (UCF). The content provided is of the same high quality that UCF has used to train its own faculty. These courses are a distillation of the key elements found in IDL6543 that other institutions may use—as is, or modified—to train their own faculty. Each organization has its own unique context and needs, so please consider completing the Decision Guide first to determine the best approach for you. 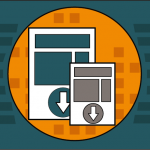 A read only version of the sample course is available for you to preview before downloading. Please note that assignments and some of the other course resources will not be accessible until you download and import the course cartridge. Please use the link below to download the course cartridge following these Instructions. The courses have been created in the Instructure Canvas learning management system (LMS) and were exported using IMS common cartridge standards so that they may be imported into other systems in addition to Canvas. These digital packages can then be uploaded to each institution’s learning management system and deployed in the manner that best meets the respective institutions’ needs: as a fully facilitated online course, as a self-paced supplement to face-to-face workshops, as the online component of a blended program, etc. The course refers to a face-to-face showcase, a sample agenda/script for the showcase can be found in the Files area of the course. The course content has been licensed under Creative Commons Attribution-NonCommercial-ShareAlike 4.0 International License. Please adhere to the license policy when using the TOPkit Sample Course materials. TOPKit Sample Course was prepared by the University of Central Florida (UCF). This work is licensed under a Creative Commons Attribution-NonCommercial-ShareAlike 4.0 International License (Links to an external site.). These sample courses are for you! Please feel free to use the materials as needed. Bauer, S., Chen, B., & Sugar, A. Effective Faculty Development through Strategies for Engagement and Satisfaction. EDUCAUSE Review Online, September 2012. 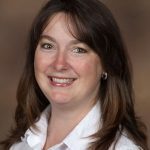 Education has always been my passion, and after years in the corporate world I purposely sought out my current Instructional Design role at UCF so that I could return to an academic environment and support faculty with online teaching while pursuing my Doctor of Education in Instructional Design & Technology. 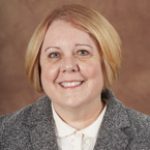 I have been with the Center for Distributed Learning since July 2011, and I love working with instructors to design online courses that best fit their learning objectives and unique fields of expertise. Together with Dr. Tom Cavanagh, I also had the honor of serving as the Co-Principal Investigator on the design, development, and implementation of TOPkit. As you can see on the About Us page this was a huge team effort, and I personally welcome any feedback you may have on ways to improve your experience with this site and community. Ashley worked with the Instructional Design team at the Center for Distributed Learning (CDL) as an intern during the summer semester of 2016 while completing her M.A. in Instructional Design and Technology. After successfully completing her internship and M.A. program, Ashley was offered a faculty position as an Instructional Designer. 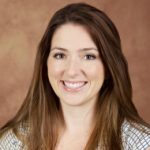 Prior to joining the CDL team, Ashley taught in the K-12 environment in both Orange and Seminole County Public Schools. There, Ashley learned how to advance and apply effective teaching practices. 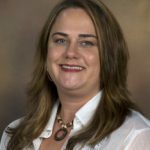 Her research interests include professional development for teaching online, application of emerging technologies, and the use of OER materials. I joined the Center for Distributed Learning at UCF as a full-time instructional designer in November 2016. Before joining CDL, I spent more than 15 years teaching courses in the humanities at several colleges, including DeVry University, Valencia College, and Seminole State College. I earned a bachelor’s degree in humanities at New College of Florida in 1991 and, four years later, a master’s of liberal studies degree at Rollins College. In 2013, I received her PhD in Education (Instructional System Design) from UCF. My research interests include social media and online learning, second language acquisition and immersion through technology, and mobile learning.